One thing that makes many airline travelers anxious is the thought of dealing with airport security. While most will agree that thorough security checks are necessary to keep air passengers – and those on the ground – safe, they often anticipate lengthy experiences and look with dread on the entire security process. Fortunately, getting through security is a lot easier than it used to be and it’s become so while keeping the public safer then ever before. In 2011, the Transportation Security Administration (TSA) launched their TSA PreCheck program that would speed travelers through airport security – and ramp up an intelligence-based approach to secure flying. Airline travelers can now become part of the TSA PreCheck program and get through airport security with relative ease. Some passengers find that their boarding passes automatically indicate PreCheck status, even when they didn’t actively pursue PreCheck. This is likely because the passenger is a member of an airline’s frequent flyer program and the airline has enough information about him or her to authorize PreCheck through security. PreCheck has whisked more than 55 million air travelers through expedited security lanes during the past several years, according to one TSA official. Frequent flyers find the new – and more efficient – way of getting through airport security a welcomed change. But, the program is still in its infancy and it’s yet to be seen how it will fare in funneling a growing number of passengers through security checkpoints. At its most basic, PreCheck is a way for airports and airlines to delve into the backgrounds of those who wish to fly on their planes well before the traveler flies. While PreCheck may be of great assistance in targeting passengers on known watch lists – or with questionable identification and records – keep in mind that qualified PreCheck travelers will almost always still need to go through some type of physical security check at the airport. We’ve put together a list of what you need to know about TSA PreCheck. The information contains pros and cons of using the program, and it offers tips that may help you decide if you want to enroll as a Trusted Traveler. Why Become a PreCheck Traveler? 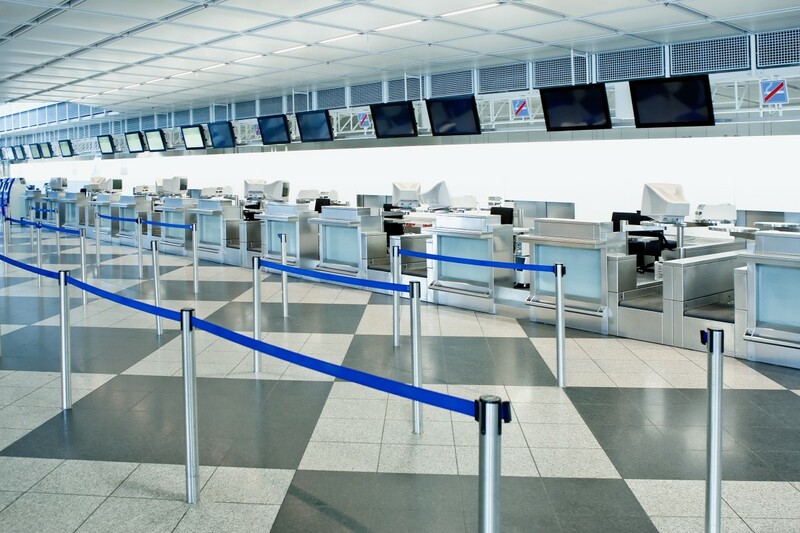 If you choose to become a PreCheck traveler, you’ll likely receive the benefit of expedited security lanes. In a PreCheck line, you can leave your belt, light jacket, and shoes on. You don’t need to unpack your carry-on to take out tablets, laptops, and quart-sized plastic baggies. These conveniences and time-savers are worth everything to some travelers. As a PreCheck passenger, you can keep your laptop and valuable electronics with you through security. No more sending your equipment through the scanner and having it sit exposed to passengers on the other end of the security line while you wait for a body scan. PreCheck keeps air travelers with their belongings in their sight the entire time, most often packed safely in luggage. With PreCheck, you can the skip body scanners that are of questionable safety. You also won’t need to stand there with your arms raised and legs wide open, as TSA agents pat down nearly every crevice. PreCheck expedited lines still use standard metal detectors, but those are easy to get through and most of us are used to them. Keep in mind, however, that even Pre-Check passengers can be pulled aside for further security checking by TSA agents at any time. To enroll in PreCheck directly through TSA, air travelers need to pay a fee of $85, which is non-refundable and good for 5 years of PreCheck status. If you’re not accepted for PreCheck, which is sometimes that case with those who have customs violations or criminal convictions, you don’t get your $85 returned to you. Also, PreCheck is only available for those who travel domestically (international travelers can register in programs like Global Entry). PreCheck has expanded to 118 airports since its inception in 2011. But, not every terminal at these airports uses the PreCheck program. Sometimes, the PreCheck lines are even closed during the times a passenger is traveling. PreCheck members often see limited airports and hours, and they experience limits in airlines participating in the program. To date, the airlines that can get you through PreCheck security include Alaska Airlines, American Airlines, Delta Airlines, Hawaiian Airlines, JetBlue Airways, Southwest Airlines, Unites Airlines, US Airways, and Virgin America. Some flyers enrolling in PreCheck are surprised when they find out that they’re not guaranteed access to PreCheck lines. The safety of the TSA PreCheck program mandates that entry to short security lines is randomized. This means that sometimes you’ll be guided into a traditional security lane, which can be frustrating if you’ve paid your $85 and spent time applying for PreCheck. A great way to improve your chances of landing in the Pre-Check expedited lane nearly every time is to become part of an airlines Trusted Traveler Program and get a Known Traveler ID.